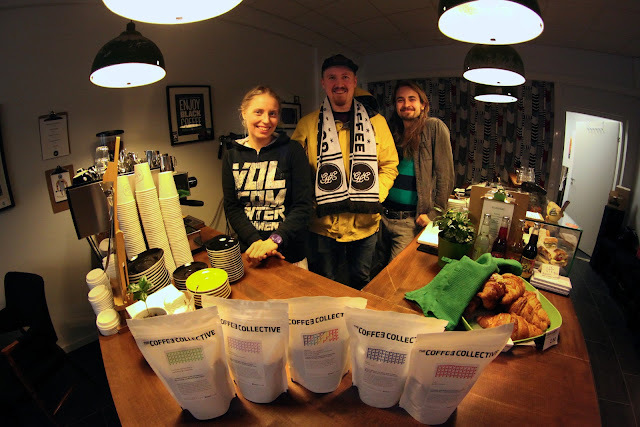 Good Life Coffee in Helsinki is a proof that the Finnish coffee scene is changing and it's driven by baristas. Founder Lauri Pipinen is a well known face around the international coffee community and has done a great job with his new coffee shop, Good Life Coffee. We were very happy when he first wrote us and asked to serve some of our coffee up in the cold North. Last Saturday Lauri competed in the Finnish Brewers Cup and placed third - a good achievement considering he's pretty busy running a business and being with his family. He used our Kieni from Kenya and these days you can drink TCC coffees in his shop - if you're quick.